For the unfamiliar, a mandala is a sacred symbol in Hinduism and Buddhism, made from a nest of squares and circles, that represents the cosmos. As the Asian Art Museum put it: "mandalas are not just images to view, but worlds to enter -- after recreating the image in their mind’s eye, meditators imaginatively enter its realm." The coloring book, on the other hand, is a method of art making most rigorously employed in elementary school, teaching kids life-long lessons such as "color inside the lines." However, recent studies have shown the joys of coloring apply to the adult set just as strongly if not more so, for it "brings out our imagination and takes us back to our childhood." 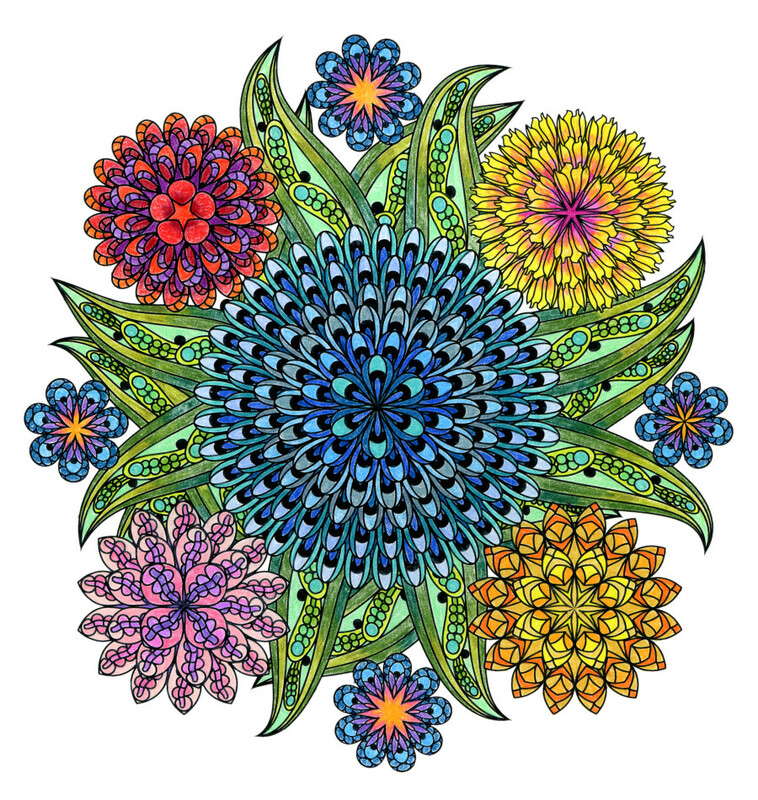 If you're wondering how you could possibly combine the zen magic of the mandala with the nostalgic bliss of the coloring book, we bring you Coloring Flower Mandalas, a new book featuring 30 handmade illustrations by artist Wendy Piersall, designed to lead you through a relaxing journey into your inner safe space. Each black-and-white image depicts a kaleidoscopic plant life, blossoming in multiple directions with symmetrical grace. Below, we've attached a preview of the soothing depictions, some in black-and-white and others in their full, vibrant state. If you feel so inclined, you can pick up a copy for yourself and get to (seriously relaxing) work. Just one tip -- use crayon. As Spanish cartoonist Antonio Fraguas once told us: "Despite how highly stressed you may be, the most important thing is to not use pen markers with alcohol that go through the paper. The proper thing is to use crayons." See more ways to fold coloring books into your life.